As a birth photographer, I’m asked to capture some of the most important stories of a family’s life. 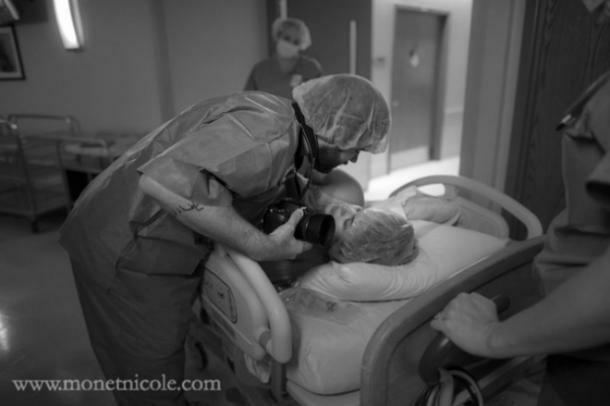 I step into their birthing space and document the small and big moments that unfold. I tell the story of their son or daughter’s entrance into the world. The struggles, the fears, the pain, the joy. But in the birth world, I see a certain type of birth held up as ideal, and in my work I capture many that would fit the standard. The fictional “first place trophy of childbirth” always seems to go to the un-medicated vaginal births where mom and partner are active and unhindered by doctors or nurses. Just last night, I read an amazing birth story where mom, unintentionally, gave birth at home in her bathtub. Her husband caught the baby because no one else was there. They sat at home on their couch and soaked in all the newborn goodness. It was a great birth story... and I’m sure it will get passed around again and again. 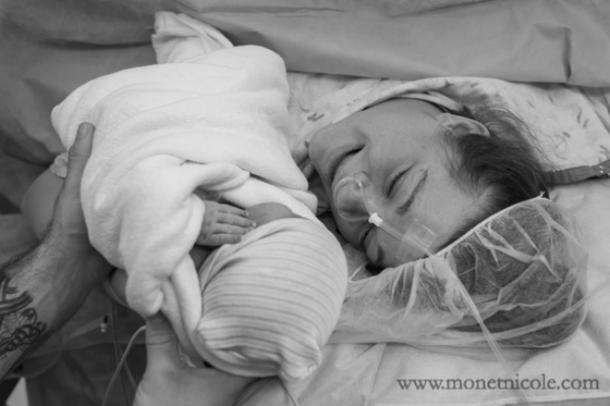 Some of you might have read about the amazing footling breech birth I photographed in February. Mom was being prepped for an emergency C-section when she felt such a strong urge to push that her daughter came out, feet first, while she was on the operating table. Again, another amazing birth story that inspired countless women to hold onto their birthing goals. And so, I encourage us to take a step back and celebrate these three truths about C-section mamas. Being prepped for a C-section is not a walk in the park. Many times, a mother’s partner is not allowed in the OR until after the epidural has been administered and everyone has “taken their place.” This means that while doctors and nurses move about, readying the operating room for delivery (maybe talking about their lunch or what movie they saw over the weekend), a strong pregnant mama sits on a cold operating table considering what lies before her — often scared and often feeling very alone. And in these moments, a C-section mama must hold onto the strong and fierce love she has for her baby. She lets fear wash over her, and then she lets it drift away. She knows that in this moment, this is what is best for her child, even though “what’s best” means a major surgery with real wounds and scars. Even though “what’s best” means letting go of a dream or a vision of birth that she’s been building up for the last nine months. If you haven’t had a C-section before, I encourage you to let the stark reality of this moment settle in your mind — put yourself in her place, on that table, waiting, possibly fearful. When you do, I think you’ll quickly realize how brave C-section mamas are. 2. C-section mamas are strong. There aren’t many mothers who will say that a C-section was what they had first envisioned when they thought about giving birth. 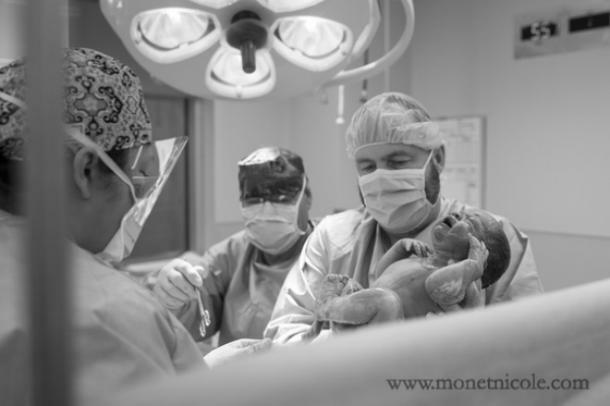 A C-section is a medical necessity in the best of situations; in the worst cases, it can be due to the outdated practices of a doctor, or his/her desire for convenience. Some C-section mamas have weeks to mentally prepare for a change in their plans, but many only have days, hours, or minutes. Suddenly, everything she envisioned when meeting her child has changed. Her birth plan has been thrown out the window. Surgery lies before her. She doesn’t know how long she’ll have to wait after birth before she holds her baby in her arms. We humans don’t tend to do well in situations of sudden change. And yet, C-section mamas find a way to let go of their pride and connect with an inner strength that allows them to enter the OR and give birth to their child. Emotionally and physically, these women are SO strong. And this strength isn’t just necessary on delivery day; this strength must endure in the weeks and months and years ahead — as their bodies and souls heal, crafting new dreams with their little ones in their arms. 3. C-section mamas are beautiful. Becoming a mother leaves all of us with scars. Some of them are emotional; some of them are physical. C-section mamas often have both. And yet their scars are powerful reminders of the strength and bravery they possessed when bringing their children into the world. I’m captivated by how different each scar is — the texture, the length, the placement. Just as each scar is unique, so is each C-section birth story. I’m captivated by how these scars change over time — how they fade, how they grow, how they heal. These scars are beautiful and something worth celebrating.